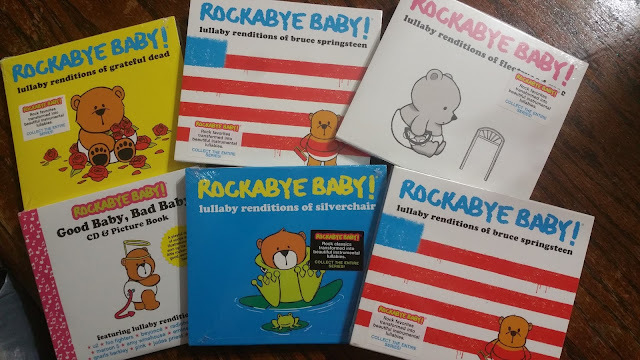 Say goodbye to those traditional lullabies and hello to Rockabye Baby! This Father's Day why not give Dad a lullaby cd he will actually listen to? 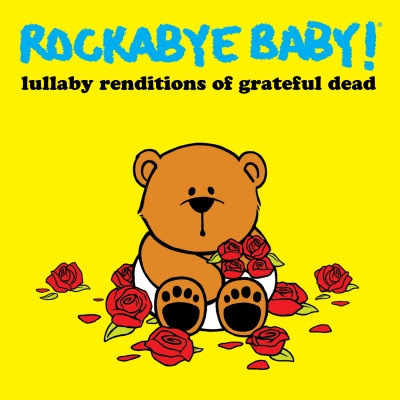 With artists such as The Grateful Dead, Bruce Springsteen, Guns N Roses to the Beatles there is a Rockabye Baby! cd for every Dad. Rockabye Baby! has sound tracked nurseries around the globe with baby-friendly versions of adult favorites, including the Beatles, Kanye West, Madonna, Guns N' Roses, and more than 60 others. Trading electric guitars and drums for a toddler-approved pallet of soothing instruments like xylophones, marimbas, wood blocks, and bells - Rockabye Baby! lets parents and babies bond over classic music while still making bedtime as smooth as possible. My husband is going to be thrilled when can listen to some of his favorite songs turned into a lullabies. Just in time for Father's Day, Party of 5 is giving away a copy of The Grateful Dead cd's!! 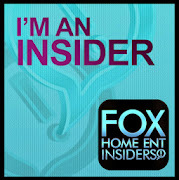 to my sister in law! I would keep it for myself. I have 2 little ones this would be great for. I would gift these to my niece. I would keep these for myself as I have 2 young ones who would love them.